Graham’s Nick Moore (132) works to pin St. Edward’s Scott Richter Friday night at GHS. Graham’s Alek Martin (138) pulled off a dominant major decision against St. Edward’s Evan Bennett to secure bonus points for the Falcons Friday night at GHS. 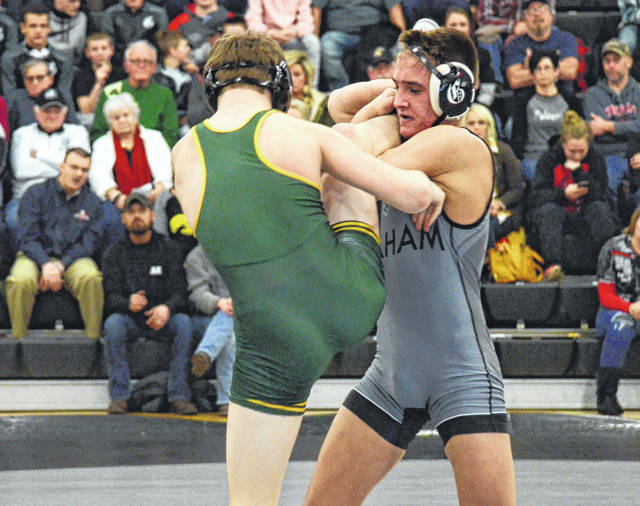 ST. PARIS – Despite a few close matches early, St. Edward rolled over Graham in the pair’s annual wrestling rivalry, winning by a final score of 46-10 on Friday. Those first four matches – decisions lost by Nolan Gessler, Trace Braun, Dawson Show and Chris Kelly – put Graham in a 12-0 hole and forced the Falcons to shift their mindset. Graham’s Nick Moore pinned Scott Richter at 132 to cut the deficit in half and Falcon Alek Martin won a 12-3 major decision over Evan Bennett at 138. But Graham couldn’t win another match, with D’artagnan Spitler (145), Jeffrey Thomas (152), Isaiah Stickley (160), Nolan Neves (182) and William Mannier (195) all looking over-matched and giving up bonus points to the Eagles. Eric Thomas (170), Trey Pence (220) and Johnny Shafer (285) all lost hard-fought decisions. https://www.urbanacitizen.com/wp-content/uploads/sites/36/2019/01/web1_NickMoore011819.jpgGraham’s Nick Moore (132) works to pin St. Edward’s Scott Richter Friday night at GHS. 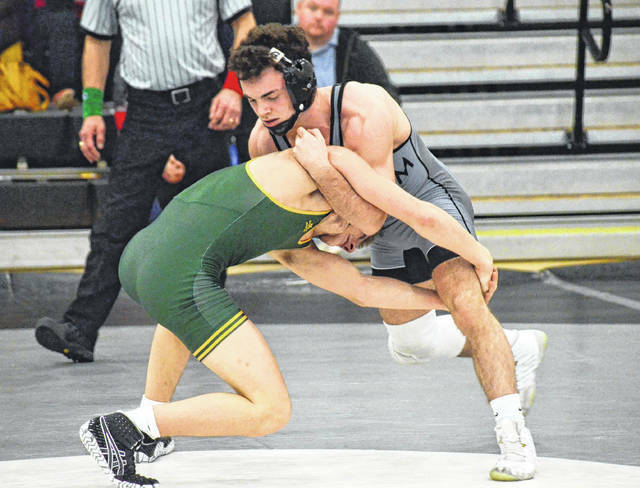 https://www.urbanacitizen.com/wp-content/uploads/sites/36/2019/01/web1_AlekMartin011819.jpgGraham’s Alek Martin (138) pulled off a dominant major decision against St. Edward’s Evan Bennett to secure bonus points for the Falcons Friday night at GHS.